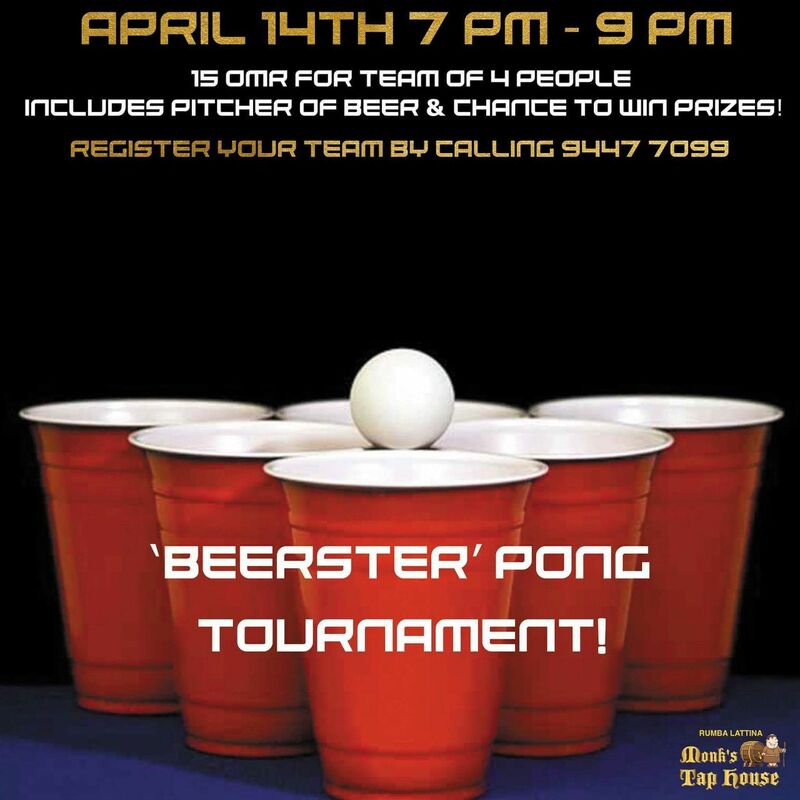 Home / booze / The Bars of Oman / Beer pong tournament tomorrow night?! 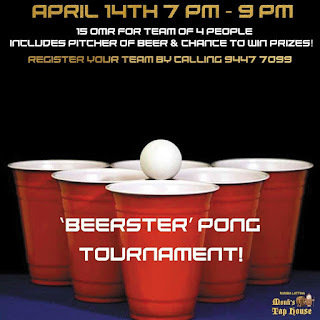 Beer pong tournament tomorrow night?! So a new bar opened up at The Cave a couple of weeks ago, its called the Bishops Finger Monks Tap House and it has opened up in the space next to Rumba Lattina - who also appear to operate the bar. I didn't attend the free drinks launch a few weeks ago, and I've still not been, but I hear that the place offers some pretty big discounts during its happy hour every day - 40% off between 6-10pm. There's a lot of TV screens (11 according to their fb page) so if you're into sport (read: football), it might be a good spot to catch a game. What really caught my attention though, was the poster above, which was sent to me over Whatsapp. 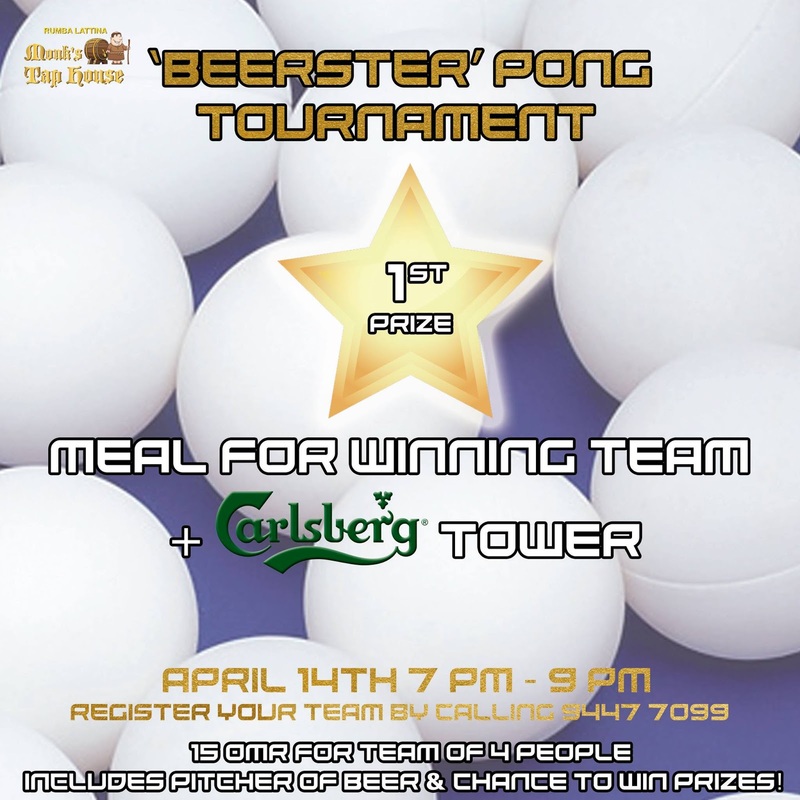 Beer pong is fun and a common staple at a lot of house parties I've been to, but I've never seen it in a bar here - might be fun.